…and because he still has a plump, speckled belly. 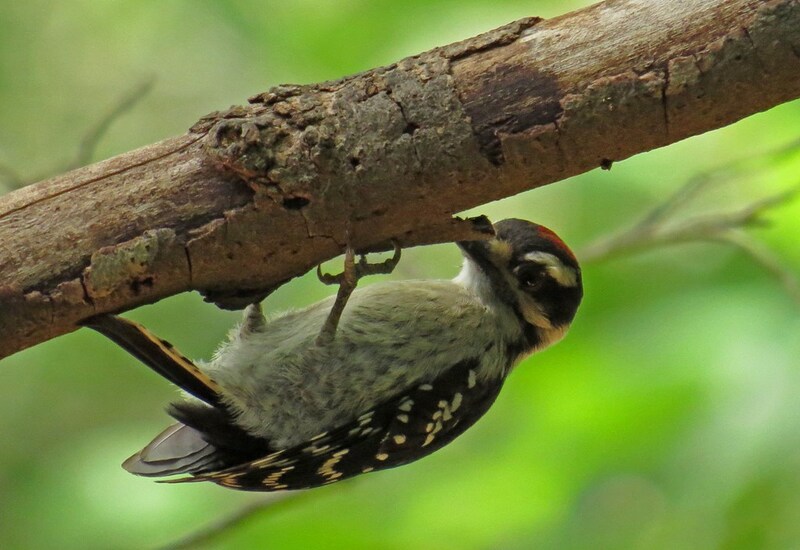 He approaches the feeders cautiously, and will hide on the underside of a branch if he feels threatened. I’m not sure why, but I find this endearing! The red patch on top of his head also marks him as a babe. When he becomes an adult, these colorful feathers will be found on the backside of his head. 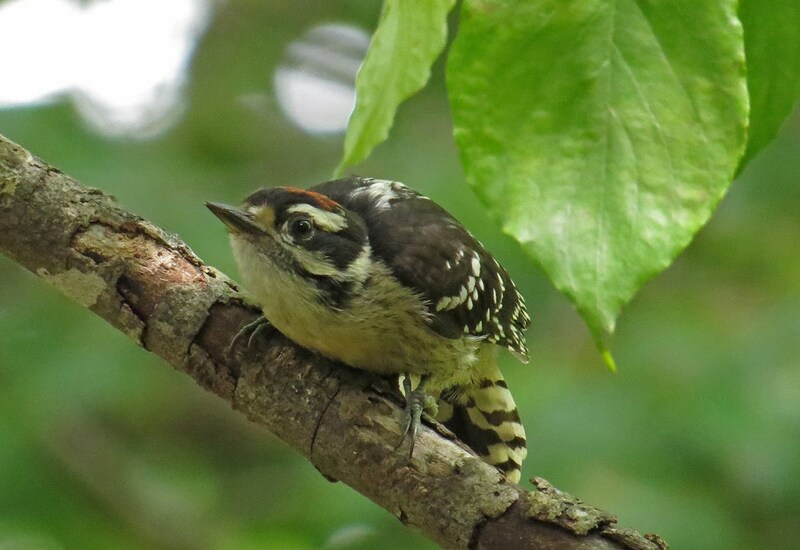 All the baby birds that visit the backyard are fun to watch, but the Downy’s are especially delightful! 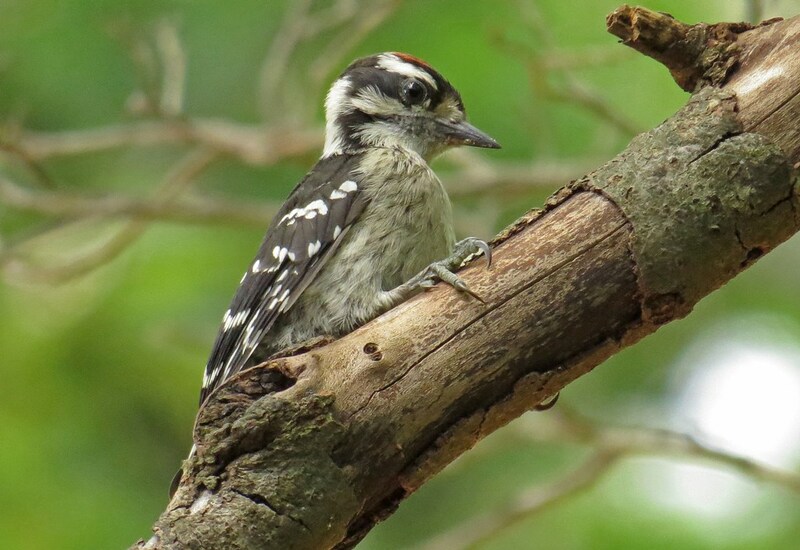 This entry was posted in Backyard Birds and tagged baby birds, beauty, birds, Downy Woodpecker, georgia birds, inspiration, nature, photography, writing. Bookmark the permalink. Thanks for blogging about this. You have become my backyard reference. I am also enjoying the new birdies. There seems to be some type of pecking order that I haven’t figured out yet the cardinals seem to be most aggressive in taking over the feeder. Wish you could see him in person…then you would really think he is a charmer! 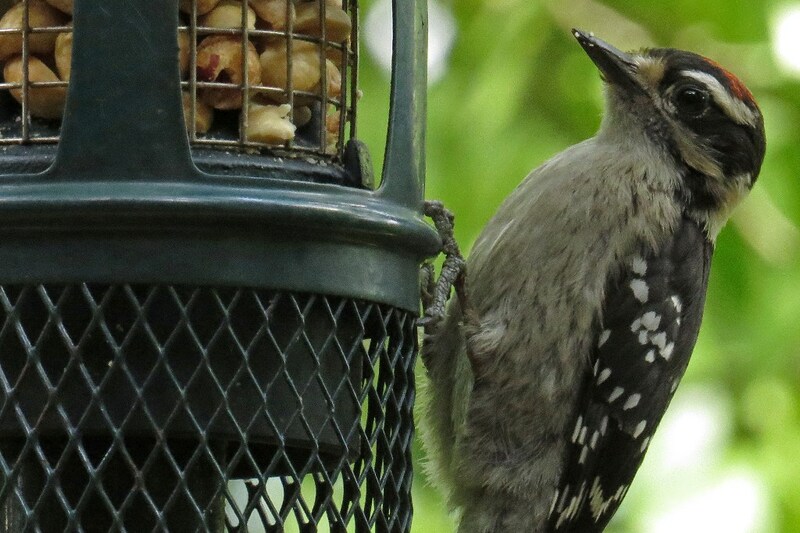 I love to see the downy woodpeckers at my feeder too. I learned something new about the babies by reading your post today. I didn’t know they had speckled bellies and that the red patch moved as they matured. Thanks for the new info. You are most welcome. They are sweet little birds, aren’t they! 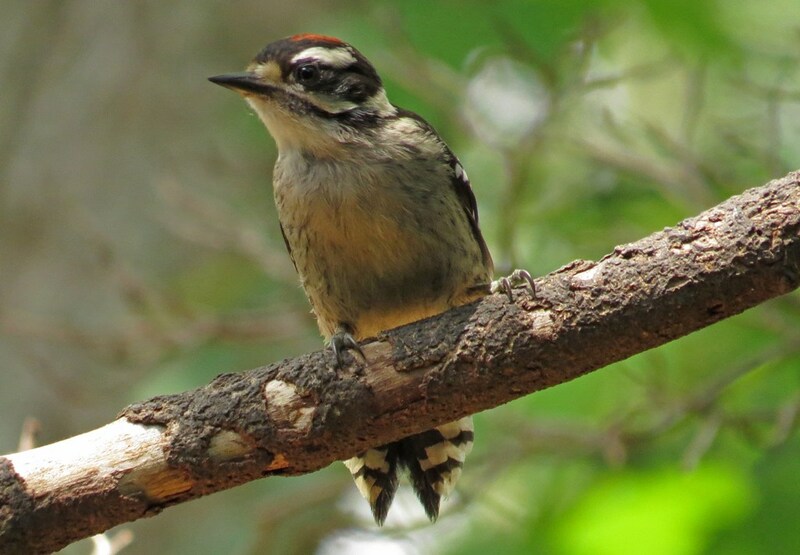 Downy woodpeckers are such sweet visitors to the yard, and there is just something extra-precious about the little ones! You captured this one’s inquisitive personality perfectly in your photos! Beautiful pictures and thanks for the info. We’ve had these beauties visiting lately, but they seem so shy!